Rodolfo Zapata was born in Buenos Aires (Argentina) in 1966. He holds international coach license from the Argentina Football Association (AFA) and Bachelors Degree in Physical Education from National Physical Education Institute (INEF, Argentina). 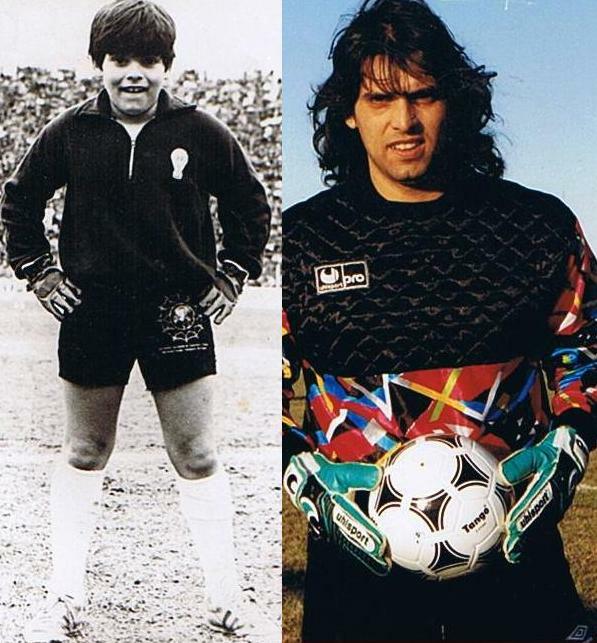 Rolo started playing soccer at Evita's Tournament when he was six years old (1972). In High School, he was selected to play for Huracan Athletic Club (Argentina Major League Soccer). In 1986, Rodolfo turned professional level. He attended the Sportivo Italiano Football Club. Thereafter, he signed with San Miguel Athletic Club. In 1990, he founded Rolo Zapata Soccer Academy. While not played, he dedicated his time training soccer players throughout Buenos Aires. Currently is one of the elites soccer program in Argentina. He retired from playing in 1995 due to consecutive knee injures. Off the field, he was Director of Soccer Operations for the National Department of Sports Administration. In 1997, he graduated from the Argentina Football Association (AFA) with an international degree as coach. In 1998, Rodolfo begin his coaching career in the United States. He coached the All Stars of Beverly Hills and Vogelsinger Soccer Academy (summer camp) in California. Also, he held the position of Director of Coaching and Players Development at the Argentina Soccer Club in Los Angeles (CA). In 2000, he was contracted for the Alberta Soccer Association (Canada). He has taught seminars for coaches license to various clubs and associations requiring coach development in the cities of Calgary, Edmonton and Red Deer. On January 2001, he was Head Coach of the Olympic Development Program. This program is a national process for identifying and developing the best youth soccer players. The process promotes players to the USA National Teams, which represent the United States in international competition, such as the Youth World Cup and the Olympics. Zapata added two credentials to his coaching resume. He was Head Coach of the United Nations International School (New York) and Director of Coaching and Player Development of New York City Housing Authority. In that capacity he has been helping, leading and developing coaching and player development programs for over 140 affiliated across Manhattan, Brooklyn, Bronx, Queens and Staten Island. In Africa, Rodolfo Zapata was Head Coach of Sunshine Stars Football Club, a professional team in the Nigeria Premier League (2010). In 2011-2012 season, Rolo was Head Coach of MP Black Aces FC in the South Africa professional league.